WEC & MTL a major force in Offshore Industry! WEC Group's recent partnership with MTL Advanced has created a new major force in the Offshore and Oil & Gas sector. WEC funded a deal in February 2015 to acquire South Yorkshire-based MTL, and both companies will be co-exhibiting at this years' Offshore Europe Trade Show in Aberdeen to showcase their increased capabilities. MTL is a well-known global supplier of secondary steelwork fabrications for the Offshore and Renewables sector, which complements WEC's 35 years of experience providing specialist fabrication, profiling and precision engineering services to that industry. Trusted with multi-million pound contracts for leading industry experts, MTL has produced over 300 Boat Landing Systems for both UK and European offshore wind farms, including Nordsee Ost, Borkum West, Ormonde, and most recently Humber Gateway. Now part of WEC Group, the company has the capability and expertise to manufacture a range of associated products for the Offshore industry including plate beams, cable and pipe handling floatation devices, floatation buoys, tower platforms, reel drums and J tubes. Together with over 625 highly-skilled staff, 500,000 sq. ft. of engineering floorspace and extensive manufacturing facilities, the Group has combined its expertise with MTL to deliver reliable products to customers, meeting even the most complex and demanding Offshore project requirements. Wayne Wild, Commercial Director of WEC Group, commented on the recent partnership: "We're looking for and securing new work through our existing customer base and with new customers, and we have potentially got some very large contracts in the pipeline. 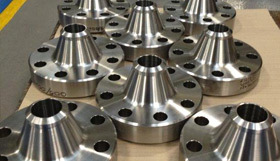 WEC Group is already heavily involved in the fabrication of products for the offshore and oil & gas industry as well as the manufacture of large precision machined components and assemblies, such as Casing and Tubing Heads, Christmas Trees (Blow Out Preventers) and flanges. Following substantial investments in three dynamic waterjet cutting machines over the past 18 months, WEC has also become heavily involved in the profiling and fabrication of assemblies for a leading Davit Crane manufacturer. Other complex projects undertaken by WEC include the fabrication of pressure vessels which are carried out to BSI and ASME standards, decompression chambers, various heat exchangers and components such as safety connectors and mechanical seals for oil & gas rigs. The Group's state-of-the-art CNC machining centres, dynamic waterjet cutting systems and robotic welding stations, as well as being certified to ISO 9001:2008 and BS/EN 1090-1 standards, allow the joint services to be used in harmony to accommodate the demands of offshore projects both large and small. Both companies will be showcasing their increased capability at the SPE Offshore Europe Exhibition in Aberdeen, 8-11 September, on stand 4D103.